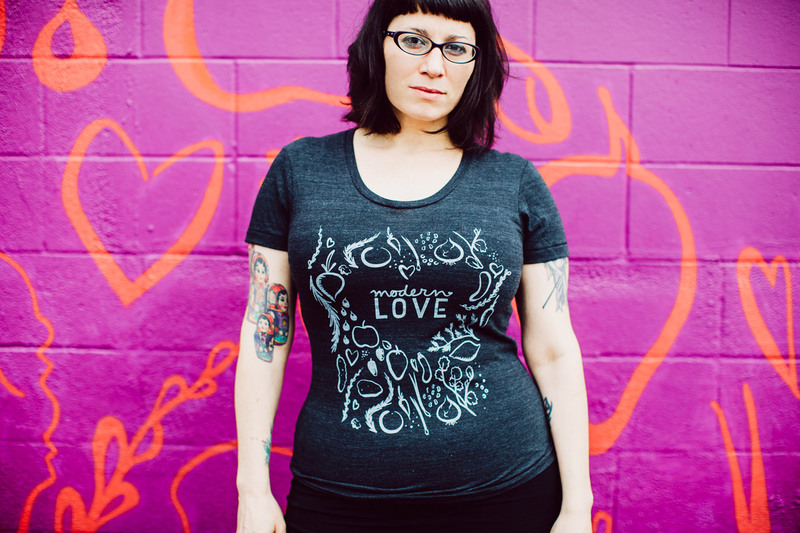 Our friend Isa is an amazing vegan chef, author of best-selling cook books, and creator of Post Punk Kitchen. 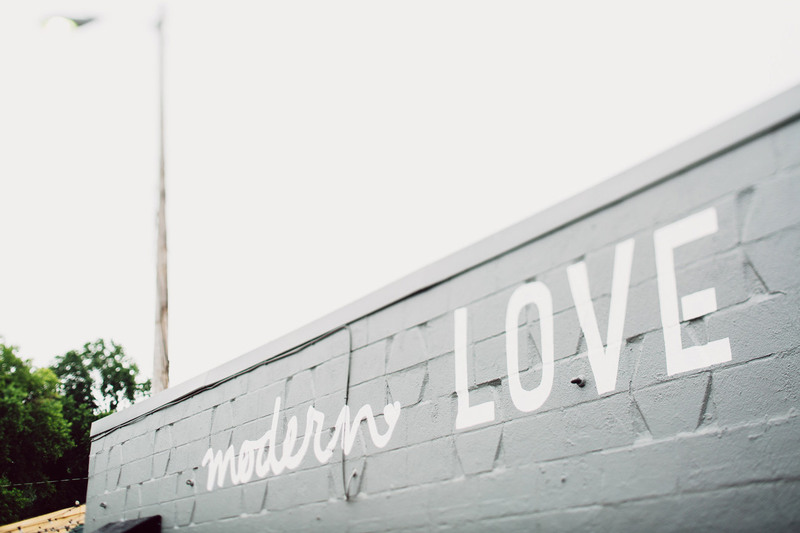 When she came to us, she was ready to open up her very first restaurant, Modern Love. 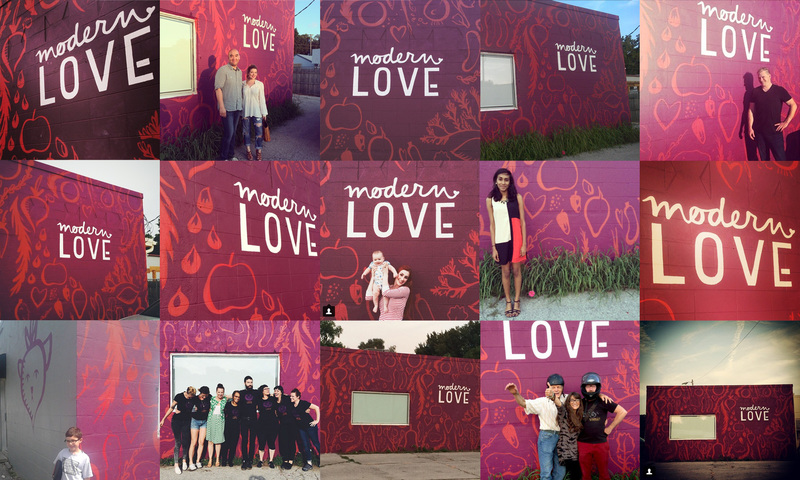 Modern Love, located in Omaha, NE, was going to be in a happily unique position. 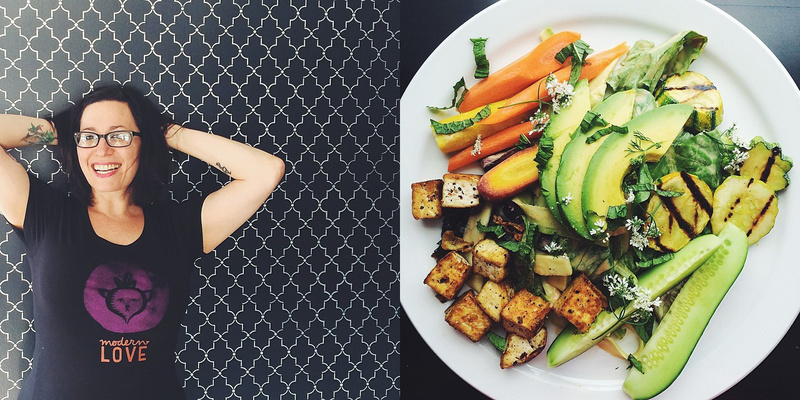 Omaha had only ever been home to one vegan restaurant – and it had closed. 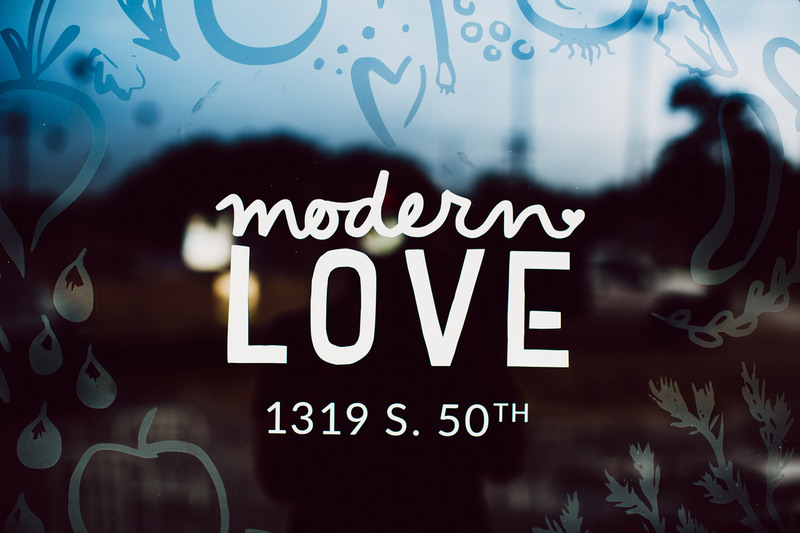 So Modern Love was going to be Omaha’s singular vegan restaurant. 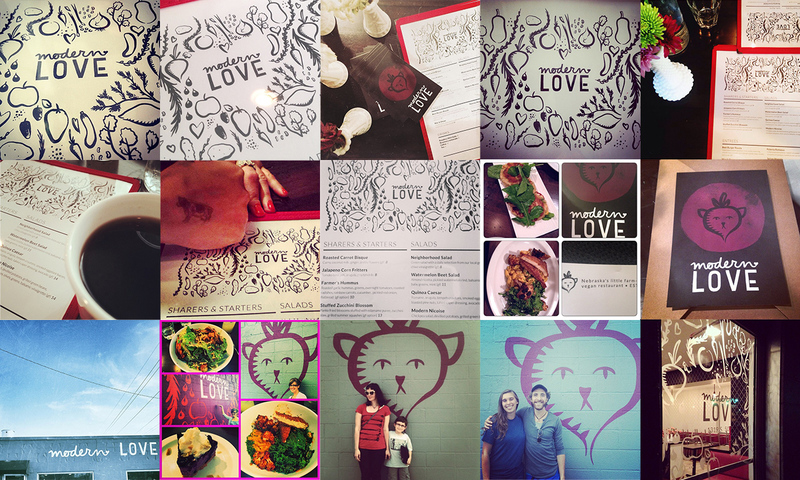 And, since Isa has a huge fan base (she’s totally famous in the vegan world! ), people would be traveling to the midwest just to eat there. 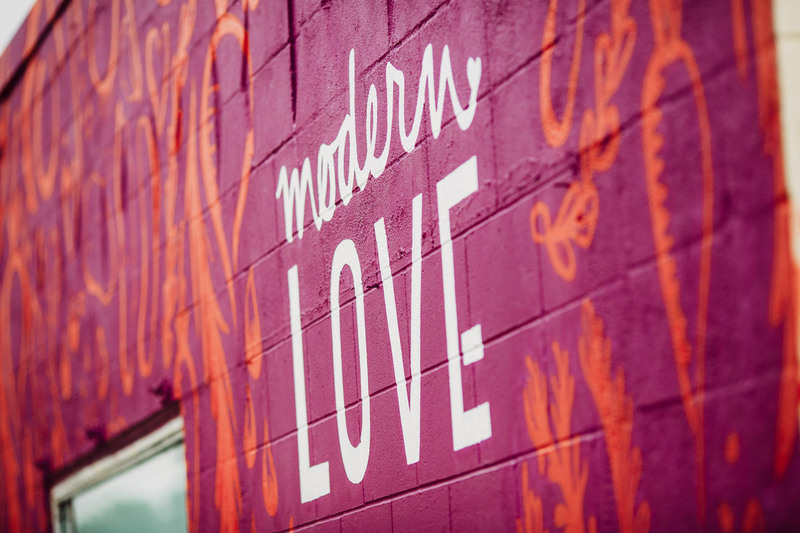 Additionally, Modern Love is next door to O’leavers: a beloved music venue and bar, co-owned by Cursive frontman, Tim Kasher. The bar’s patrons are people who are doing cool things in Omaha, and supporters and friends of those people, who are keen on authenticity. 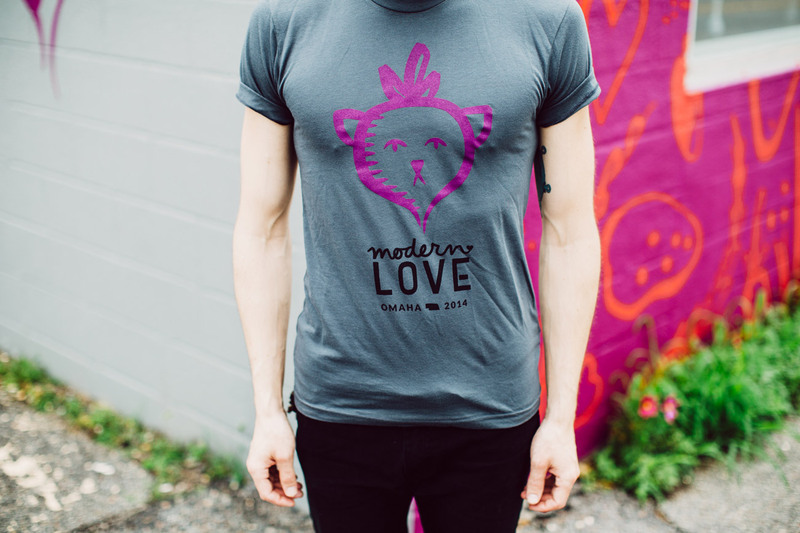 We met with Isa and talked about how Modern Love would feel: Isa was interested in having an icon in the logo that could stand alone. She said she’d love for the icon to be an animal or vegetable, but wasn’t sure which type – and any old vegetable felt kind of obvious. We got to work on lots of sketching. 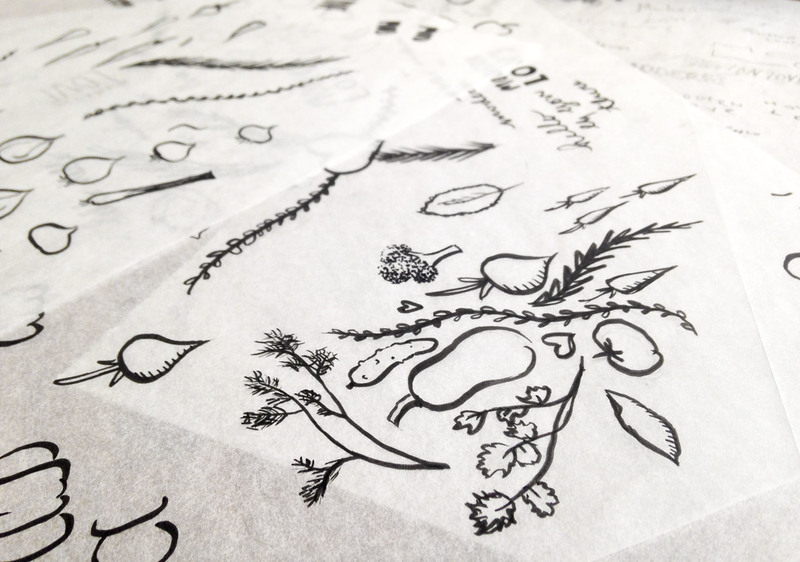 After a while, and feeling a bit delirious, we tried putting an animal face on some of our veggie sketches. It made us laugh. 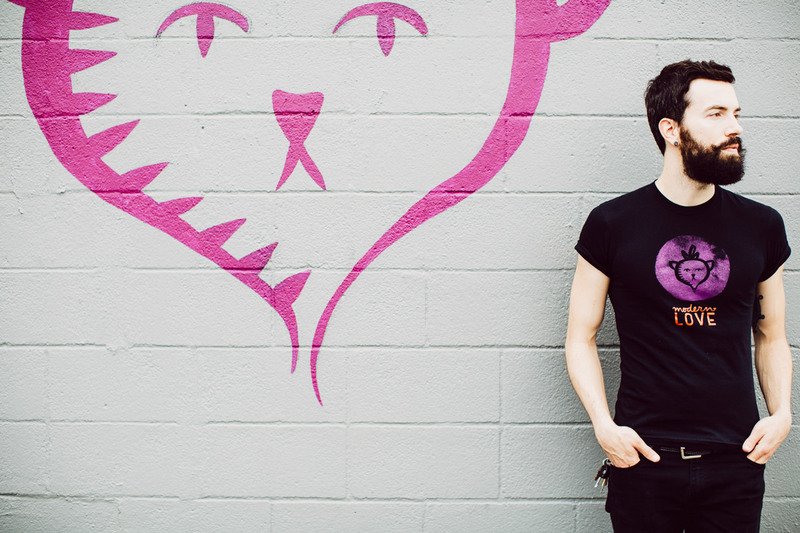 It was weird, it was playful, it was a radish cat. 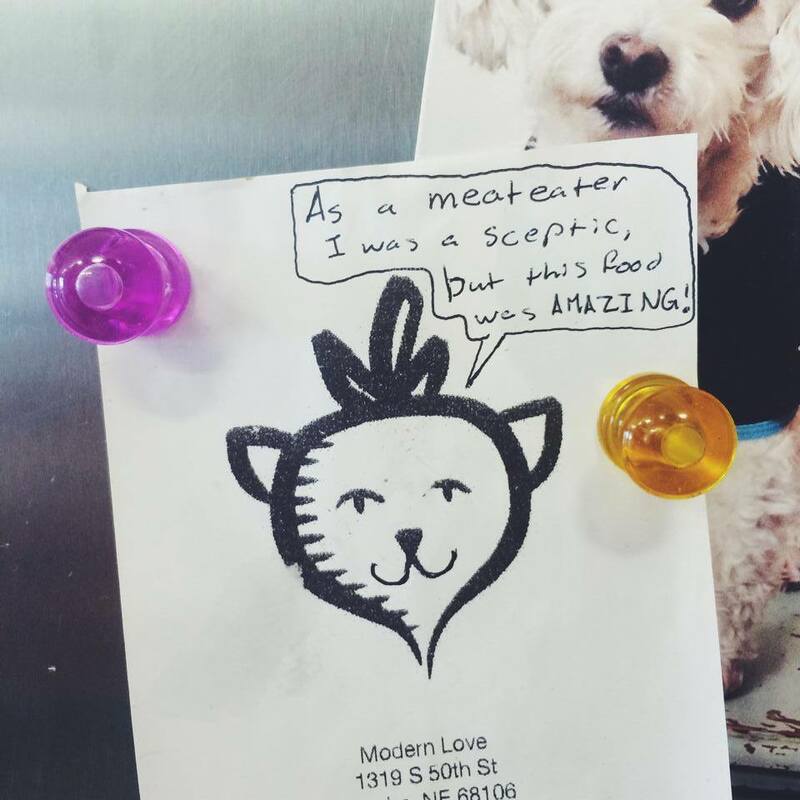 We continued sketching out other ideas, but couldn’t stop thinking about this vegetable cat. So we decided to present it (somewhat nervously) to Isa. She was delighted. And we were delighted that she loved it! And she dubbed it RadCat. 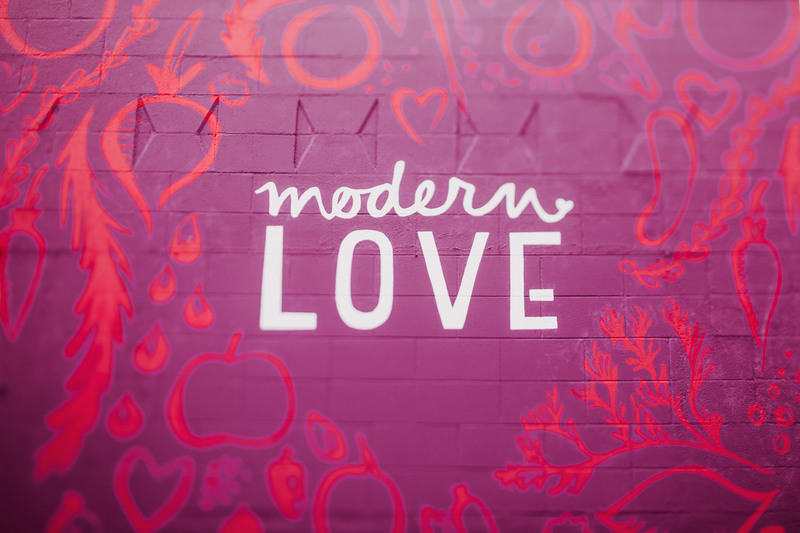 We created custom type – with “Modern” handwritten with a tiny heart on the end, to give a dreamy romantic feeling. “Love” was made from cut-paper with imperfect edges and a bit of personality. 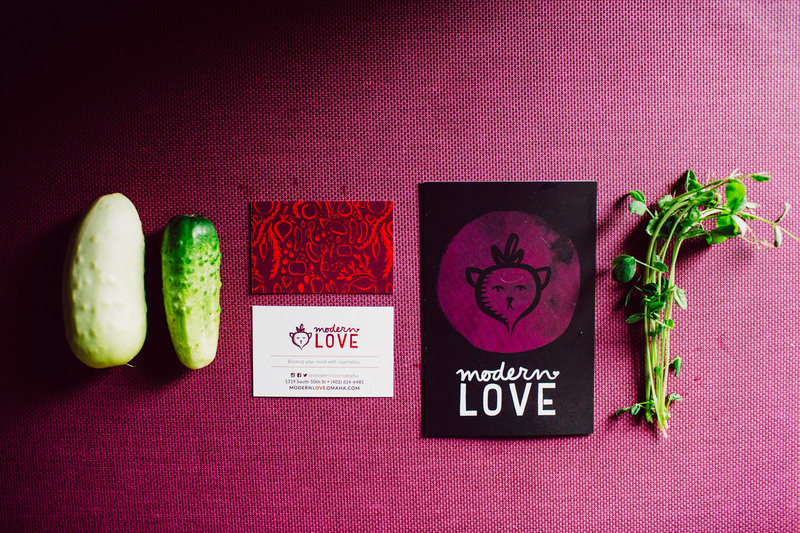 Our moodboard contained a lot of patterns, and we really wanted to make a custom one for Modern Love. 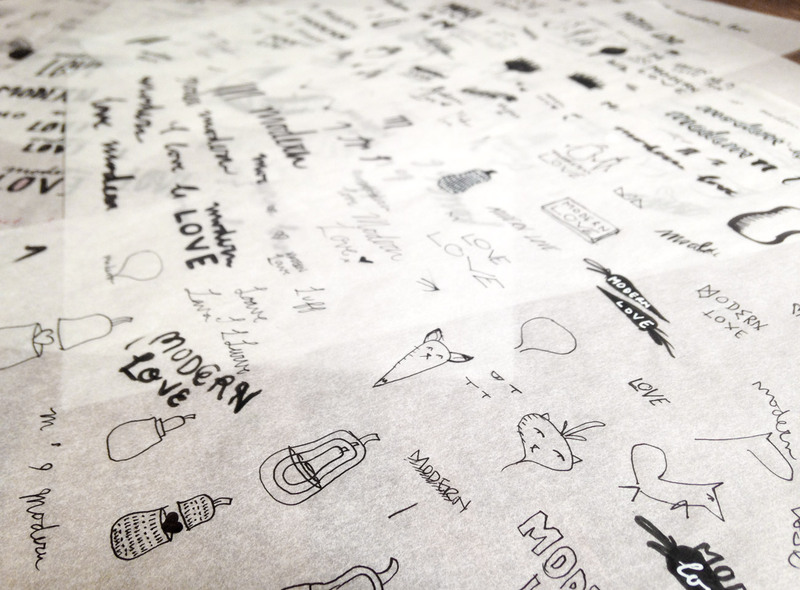 We sketched a bunch of vegetables in the style of RadCat and arranged them to create a repeating pattern. 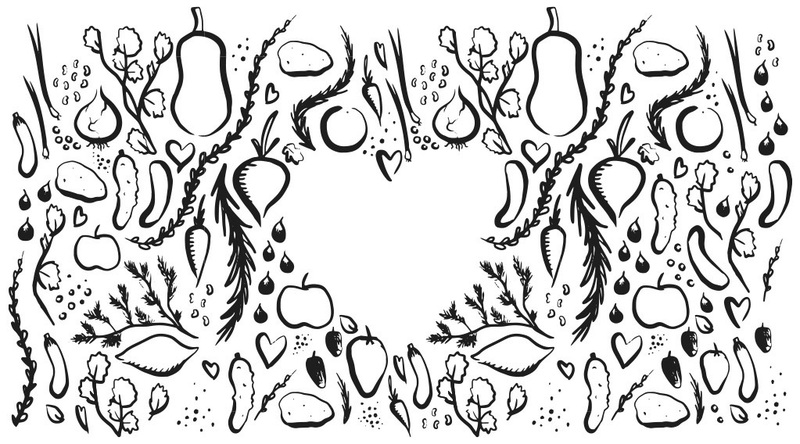 The pattern has one tile that is totally full of veggies, and another that has a heart-shaped opening. Isa was a huge help with deciding on colors. 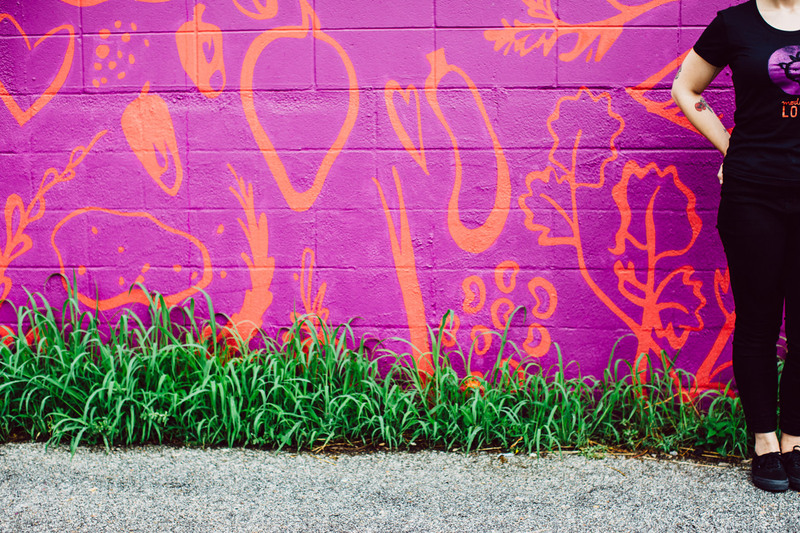 Instead of predictable green (“vegetables!”) or boring neutrals (Isa is totally not boring), we went with fuchsia and red-orange. They vibrate off each other pleasantly, mirroring Modern Love’s vibrant food. They help set off the green in vegetables, and are one with the colors of beet burgers, multi-colored potatoes, and berry pies. 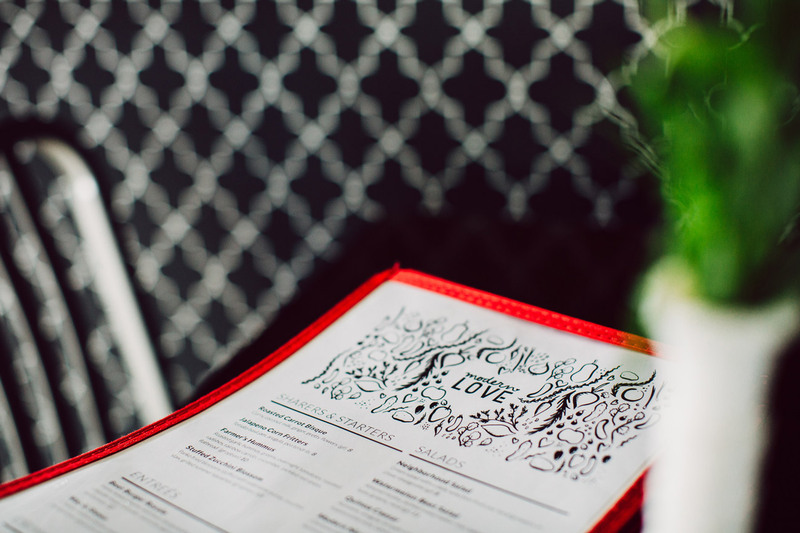 Menus are one of the most important things that a restaurant’s customers engage with. 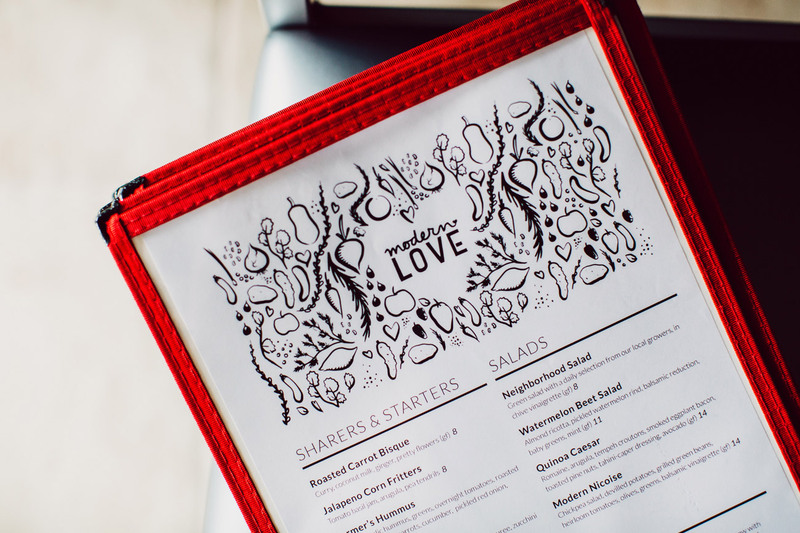 Modern Love’s menu changes quite often because it is largely based on whatever local produce is available. So the menu needed to be easily updated by the staff, inexpensive to print, and easy to replace and recycle. We had simple cafe-style menu holders made in bright orange to connect with the brand’s colors. The fonts are straightforward for legibility and to allow the header to shine in its ornate glory. The building was pragmatic, without much by way of charm. 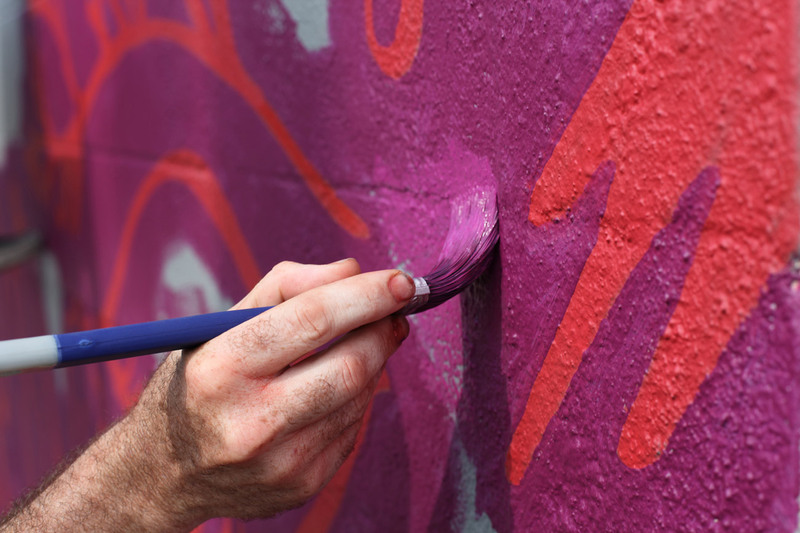 After much discussion about types of signage, we very strongly suggested painting a huge bright fuchsia and orange mural on the side of the building. Isa agreed. 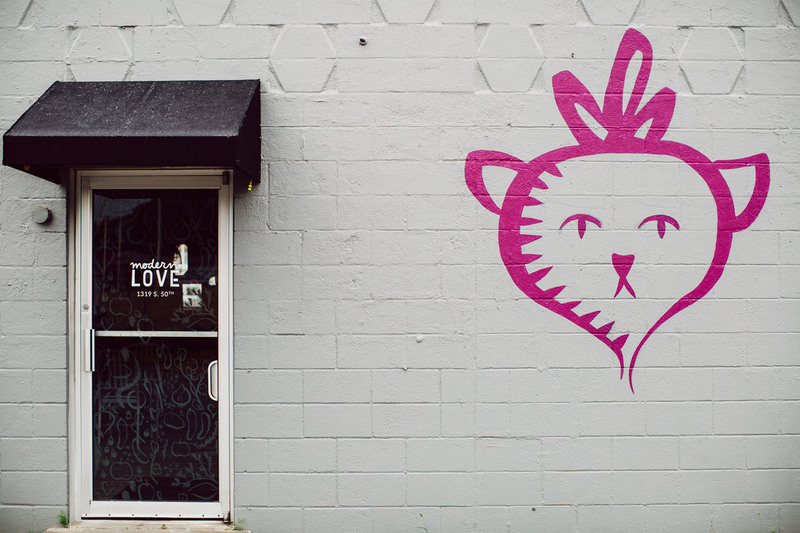 The front of the building features simple painted signage up top, RadCat luring customers toward the front door, and frosted patterned glass where customers enter. 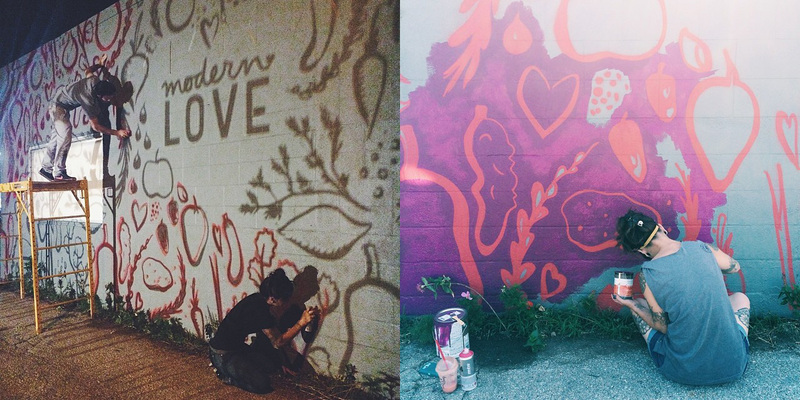 Modern Love already had a huge (and very excited!) social media following. We were seeing that lots of people were planning on traveling to eat at the restaurant. So we made them some souvenirs to take home. A postcard is delivered with each check, in case visitors want to write home. And we’re partnering with Omahype to create a list of Isa’s favorite places in Omaha for those who are unfamiliar with the city. 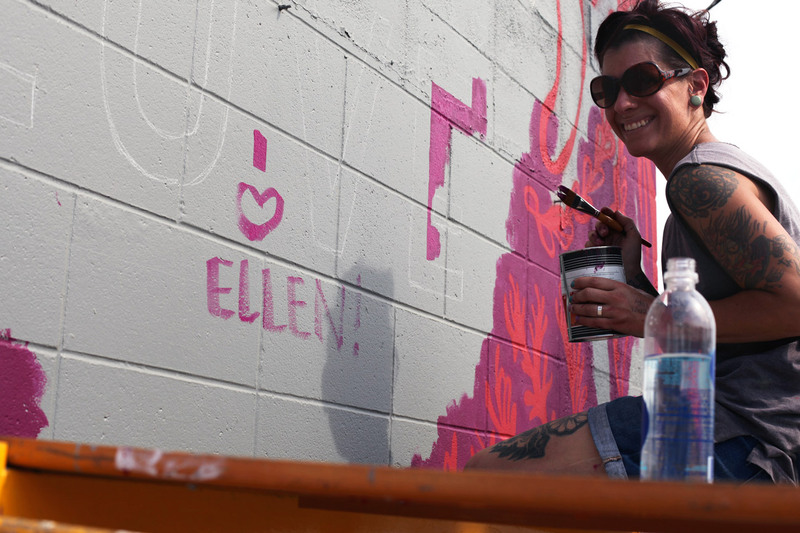 Many many thanks to our friend, Dan Muller, for taking most of these photos. SecretPenguin brought life to my vision in a really fun way. Our business is instantly recognizable and unique thanks to them.